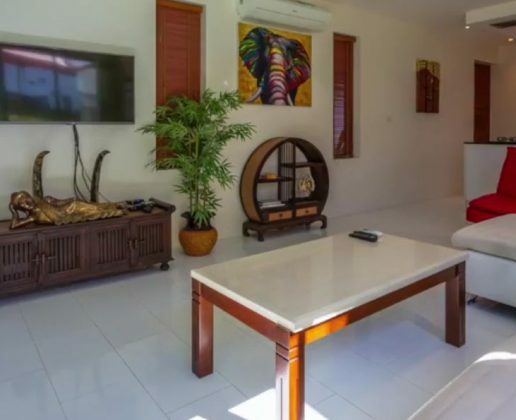 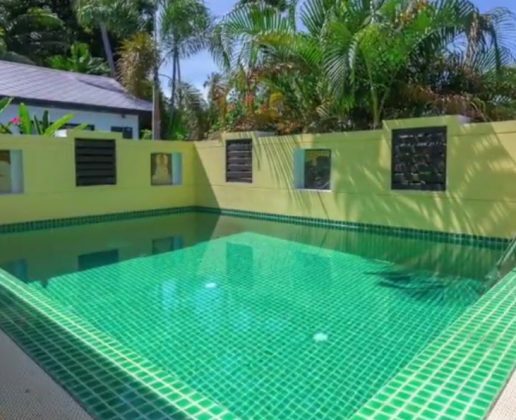 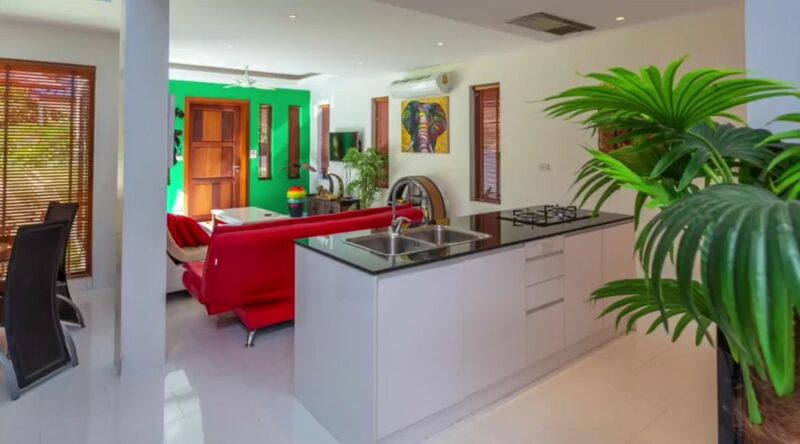 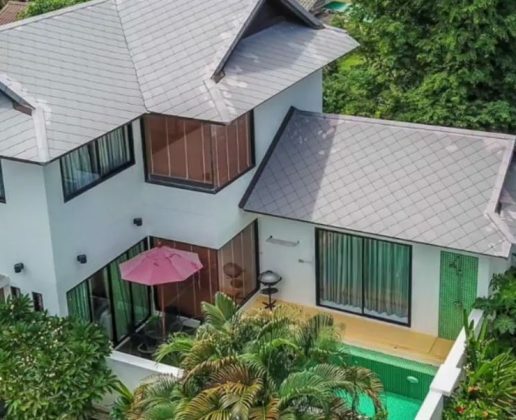 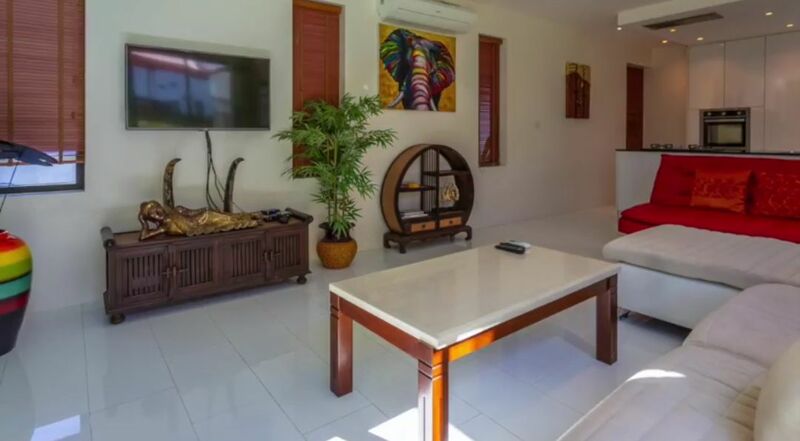 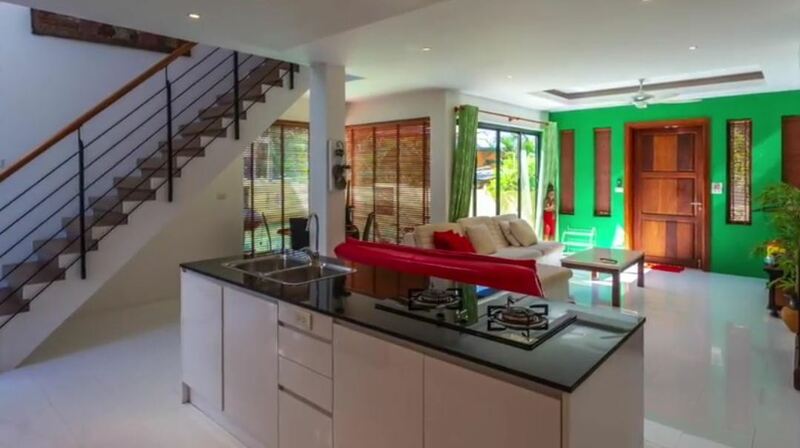 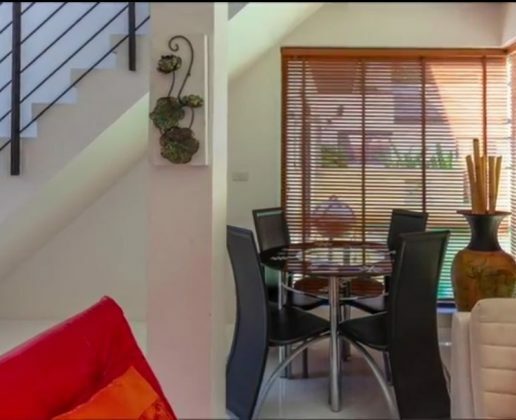 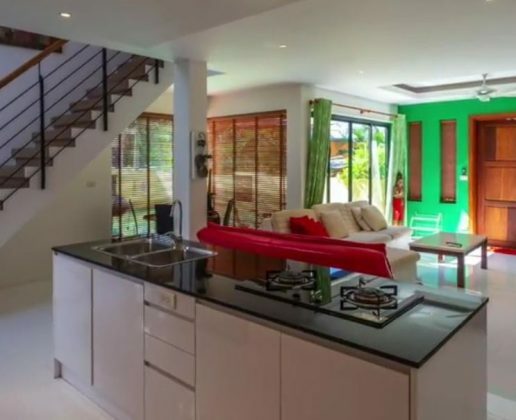 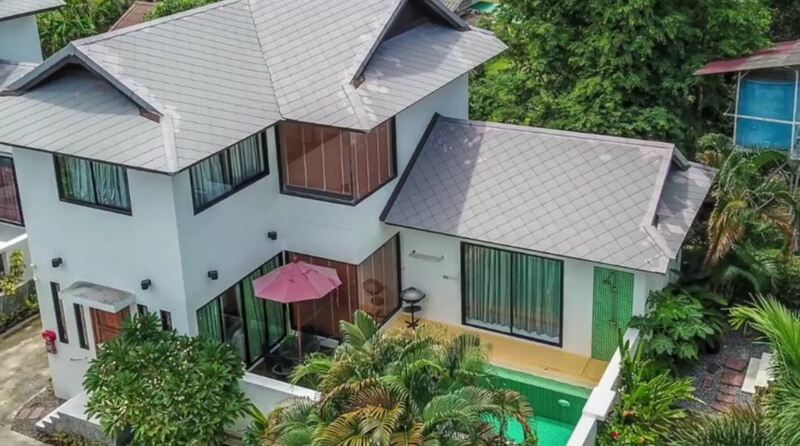 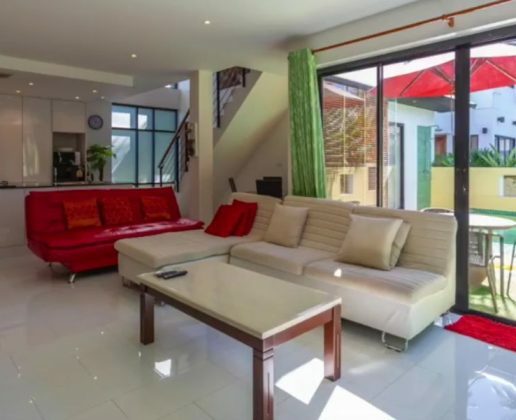 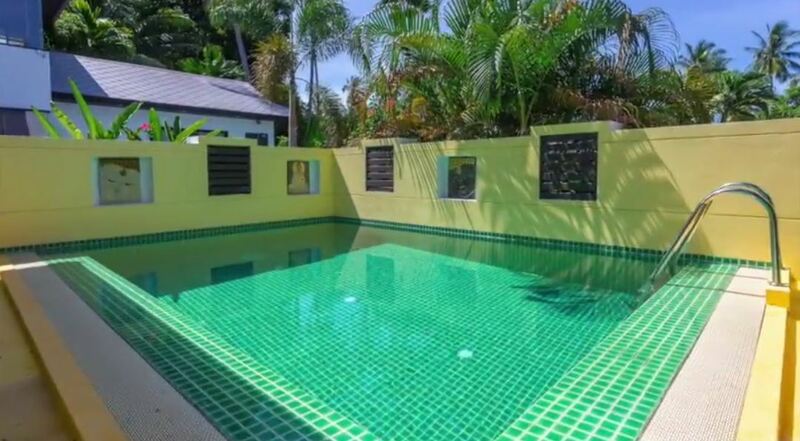 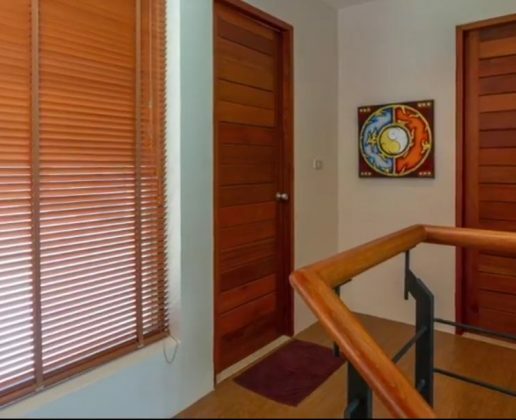 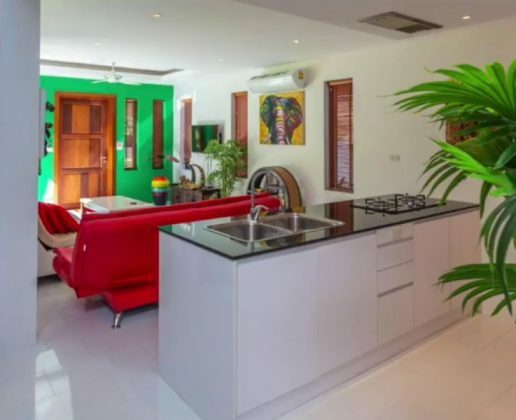 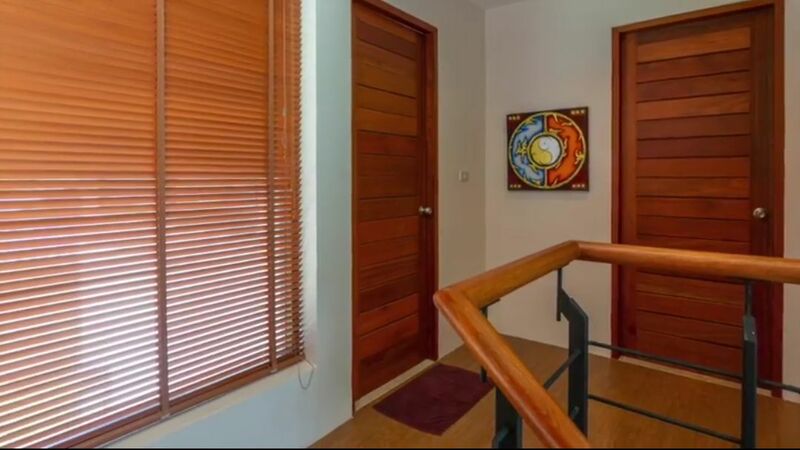 Beautiful villa offering 3 bedrooms and private pool in quiet location just 1km to idyllic and un spoil Ban Tai beach just 1 km west of Maenam town with restaurants and convenience stores within 5 minutes’ walk. 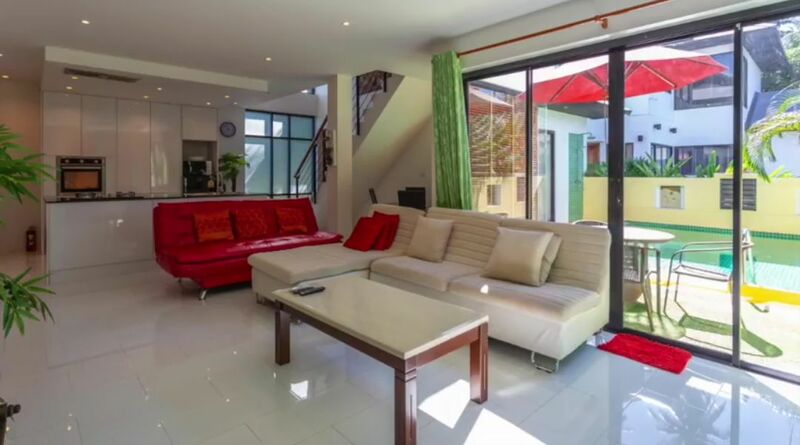 Access is up a few steps to the front door which opens out to the living area with two sofas, a TV which is connected to true vision. 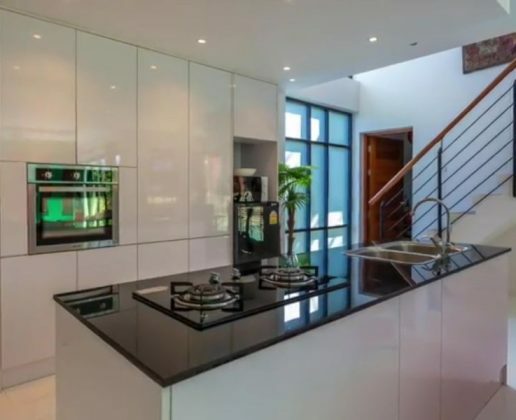 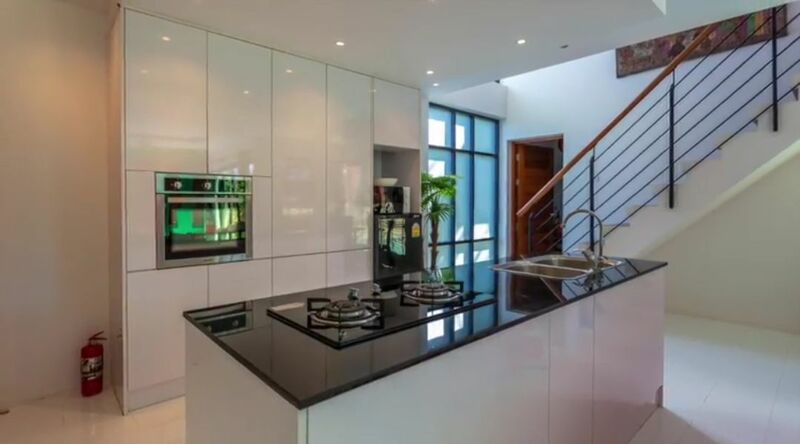 Behind is the open plan kitchen with floor to ceiling white cupboards, a gas hob, fridge, microwave and oven. 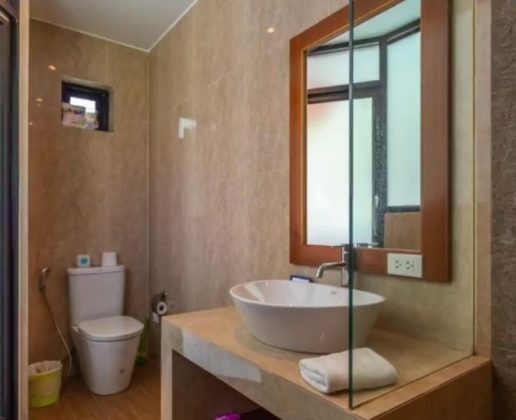 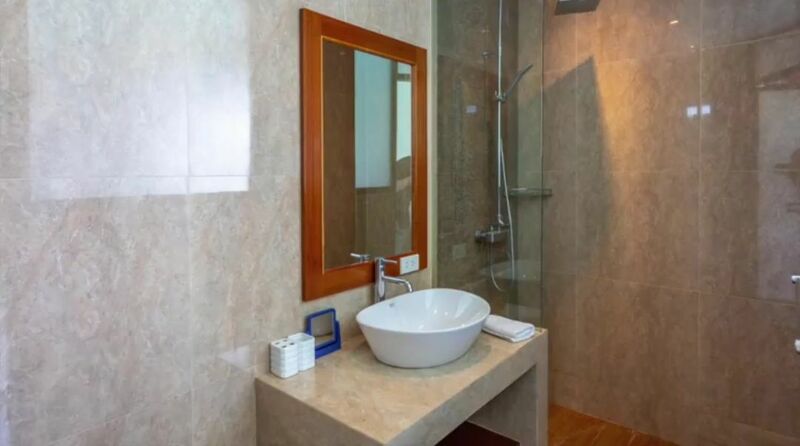 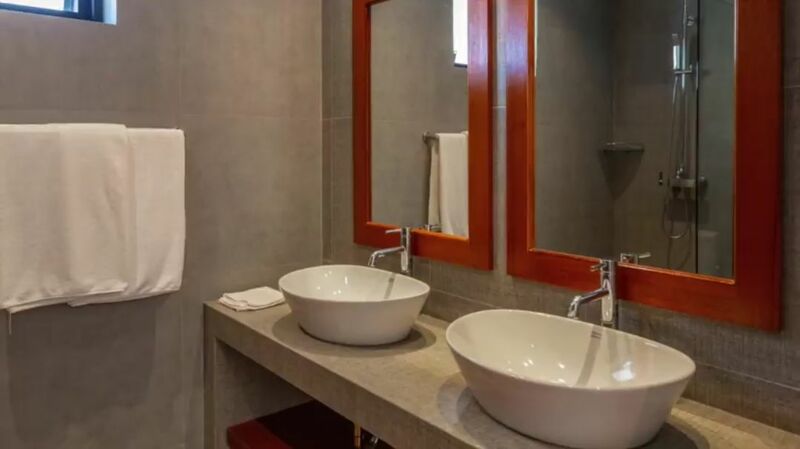 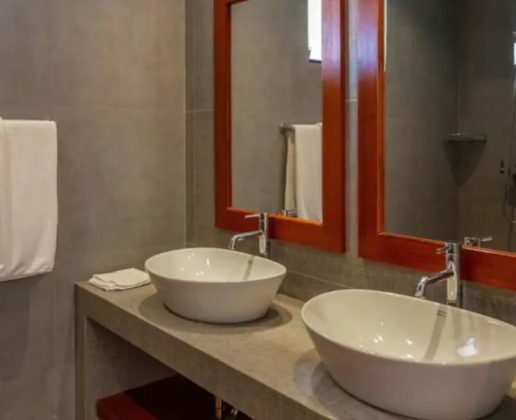 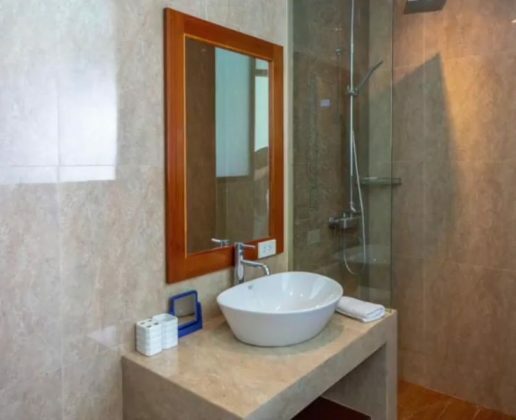 There is also a separate guest bathroom with washing machine. 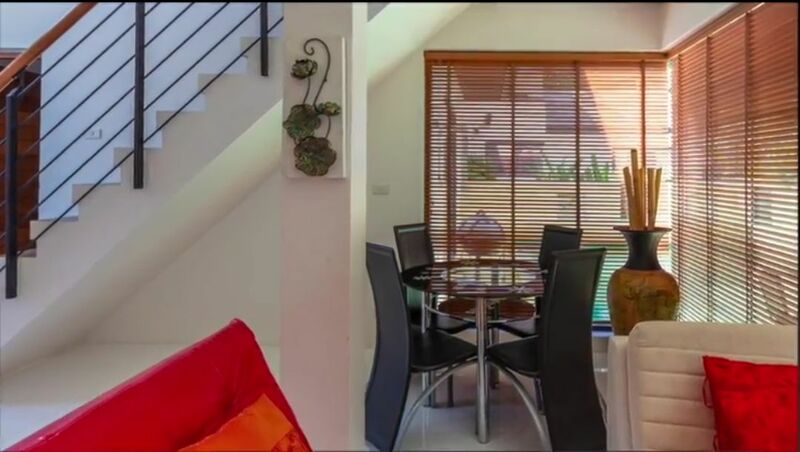 The dining table seats four and has direct access to the pool/terrace area. 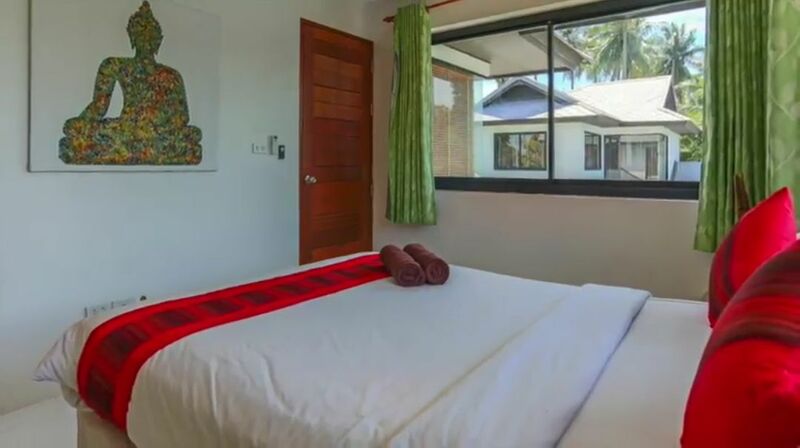 The master bedroom is on the same floor with super king size bed, wardrobe, TV, along with en-suite bathroom with shower. 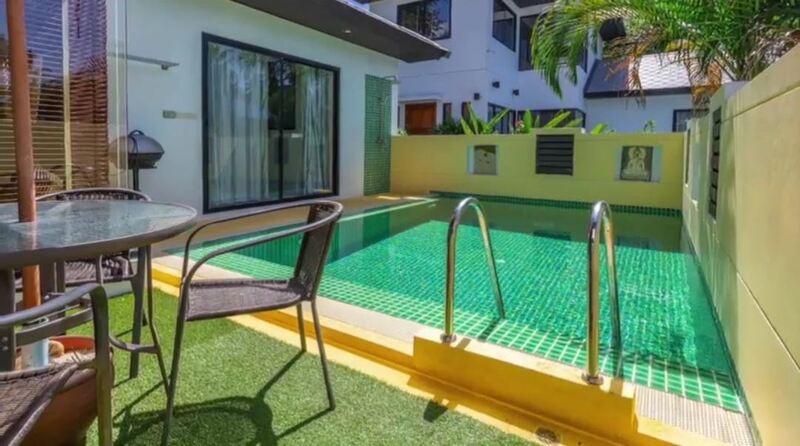 The patio door leads straight to the pool. 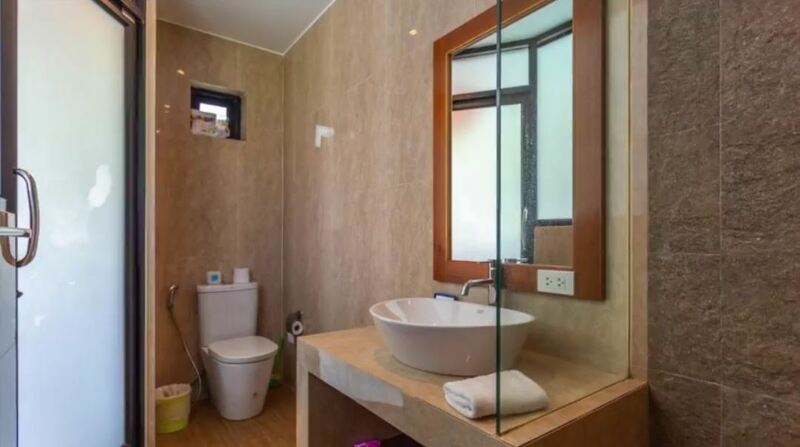 Upstairs, there are two further bedrooms, both share a bathroom with twin sinks, wc and a shower. 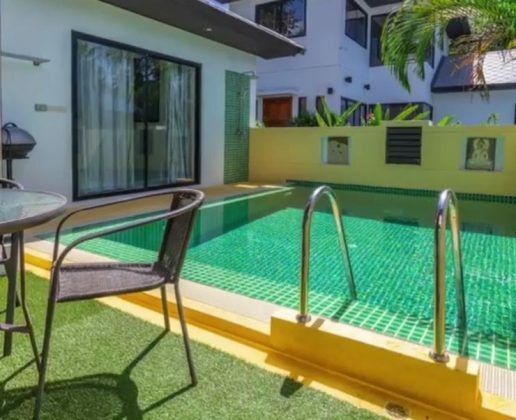 One has a double bed and overlooks the pool and the other has two single beds to the rear. 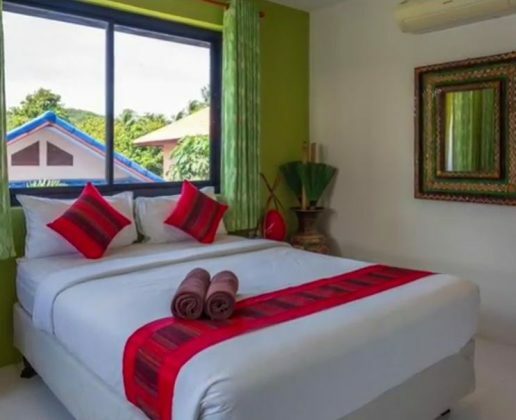 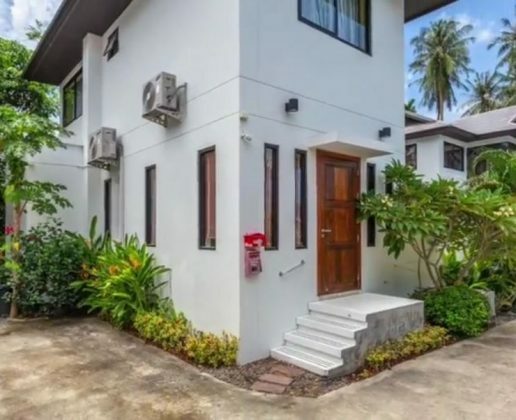 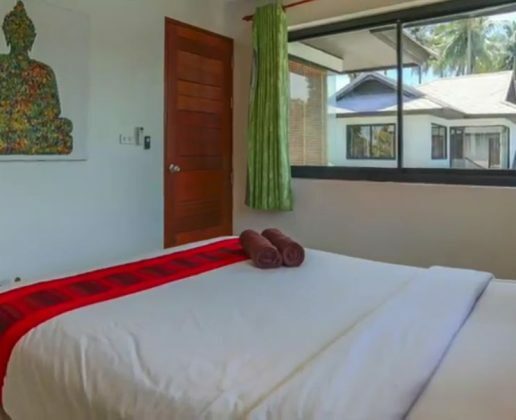 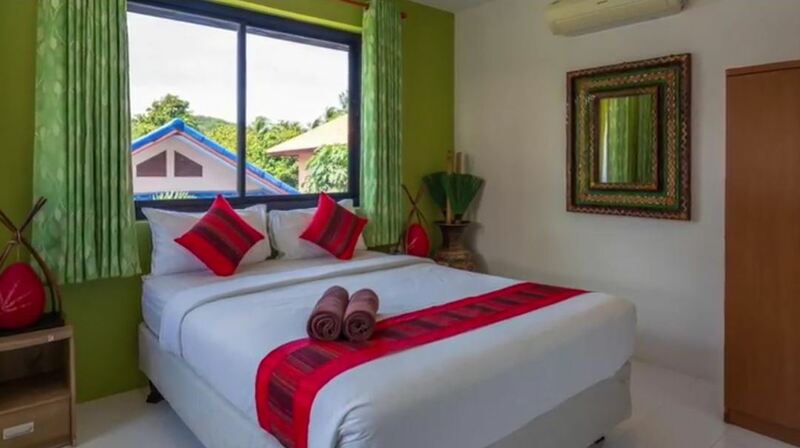 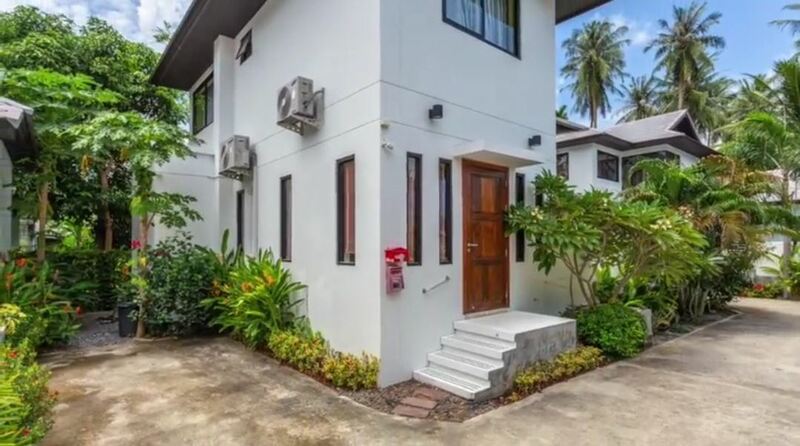 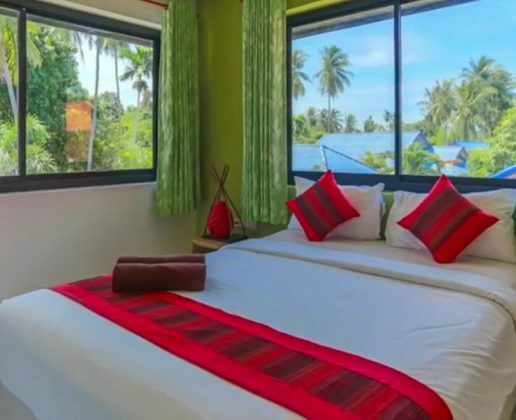 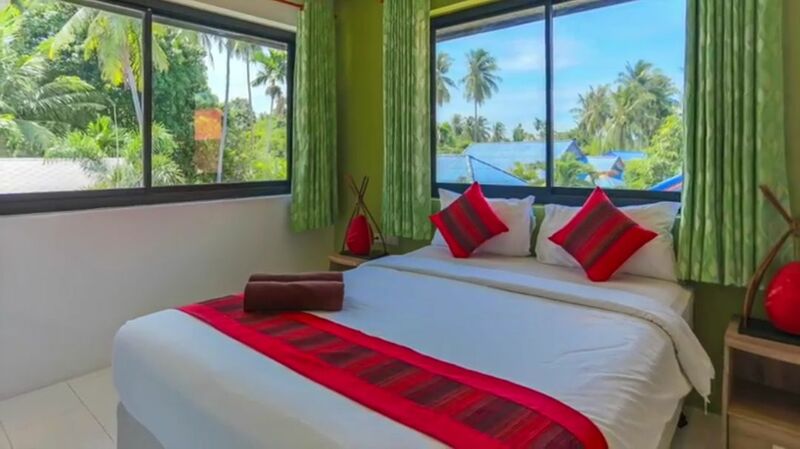 Located about 1 km west of Maenam town, 10 mins walk to private cove in Napasai Belmont Resort and Spa or 15 mins walk to nearby Ban Tai beach along a quiet, shady road.